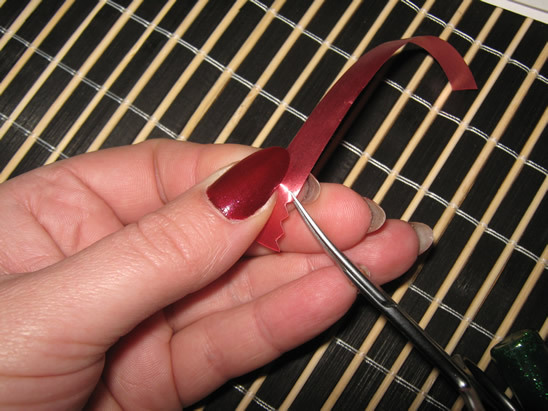 Tutorial offered by Laura from Dacian Moon Handmade. 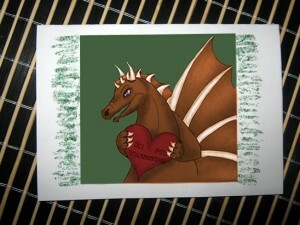 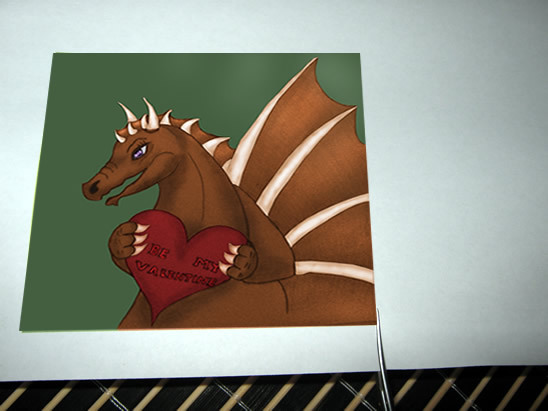 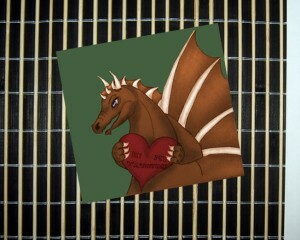 Save the dragon image from here and print it (you can also draw this dragon yourself). … and place it on the middle of paper. 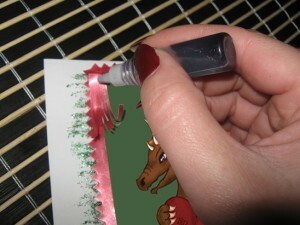 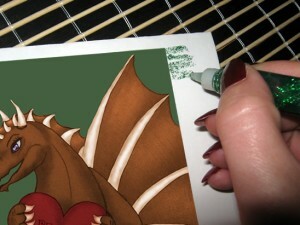 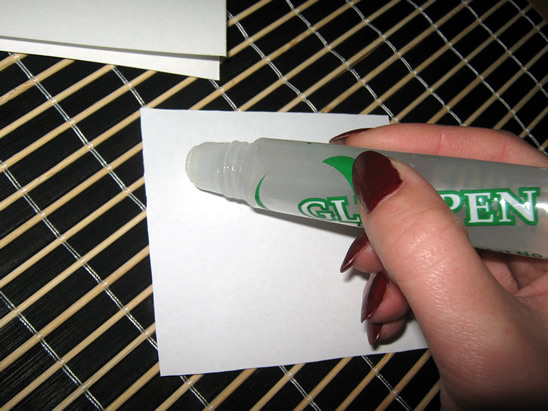 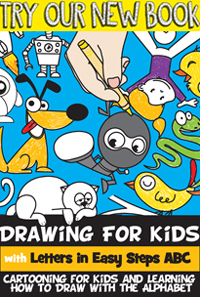 Make some lines with green glitter glue around the image. 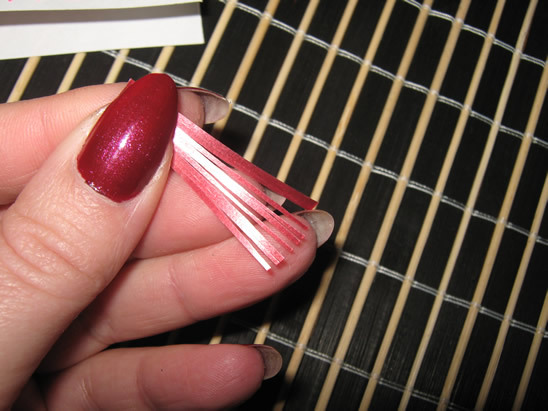 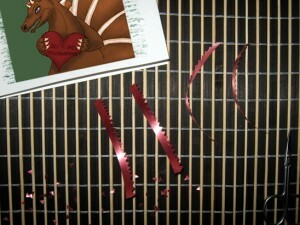 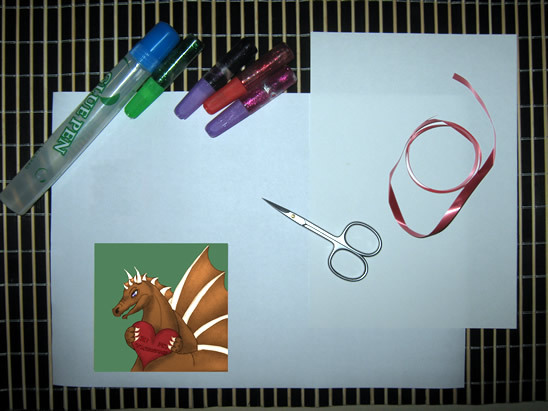 Cut 4 pieces of ribbon (just long enough to frame the image). 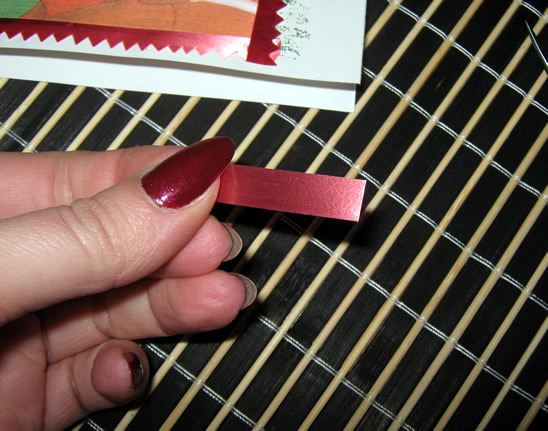 With the scissor cut little triangles on one side of the ribbon (like in the next picture). 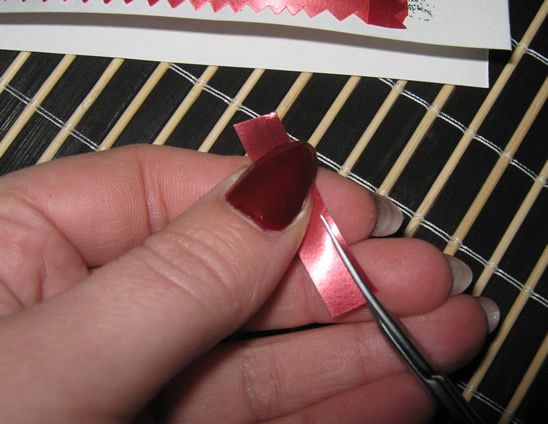 Repeat that for all the 4 pieces of ribbon. 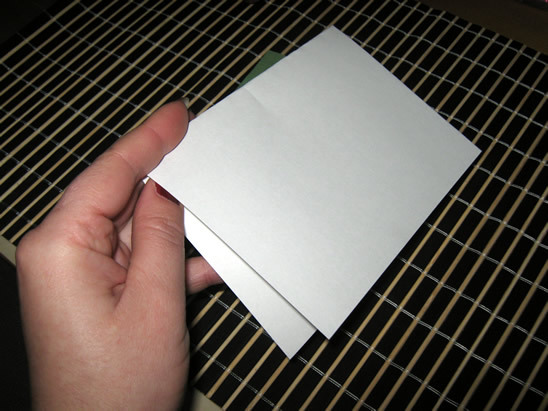 … and place it on the edge of the image. 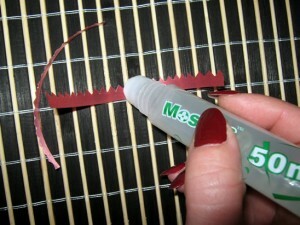 Do the same with the other 3 pieces. Cut another piece of ribbon (about 3 cm). 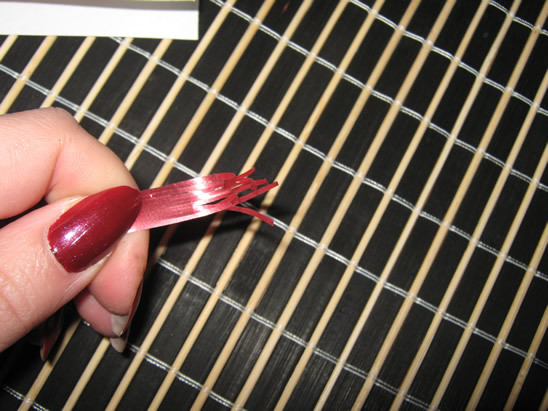 Then pull sudden on the cut end and the small pieces will curl themselves. 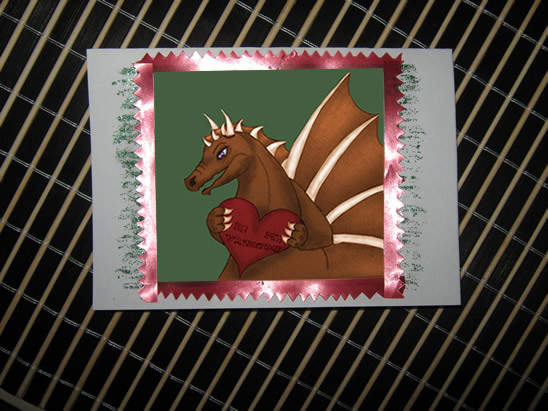 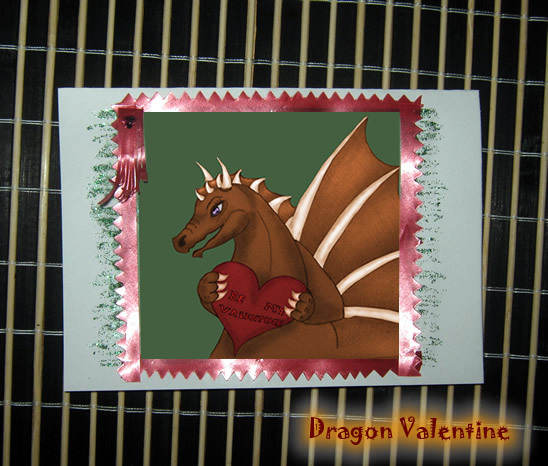 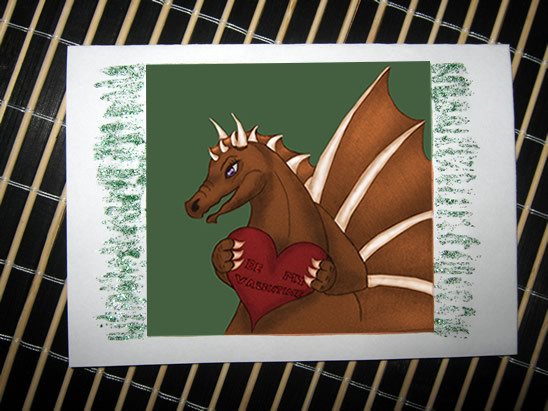 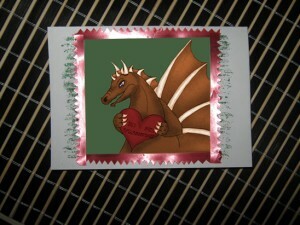 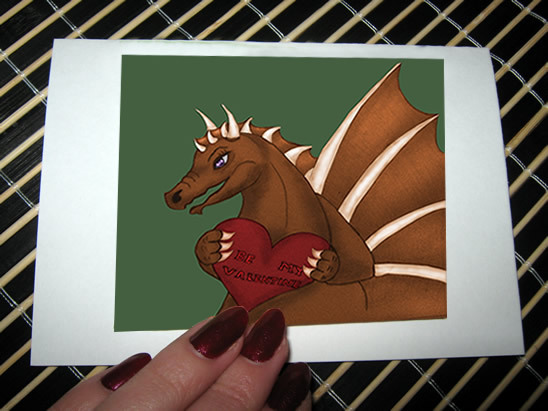 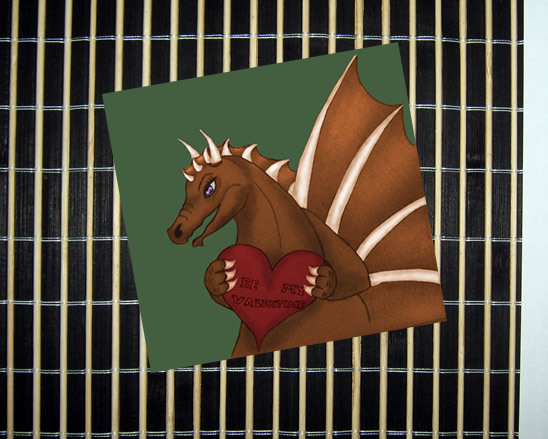 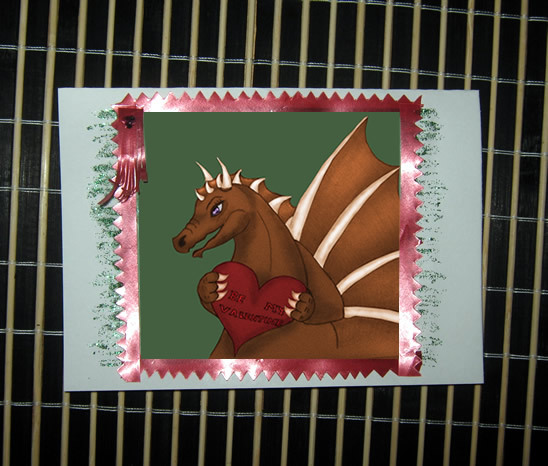 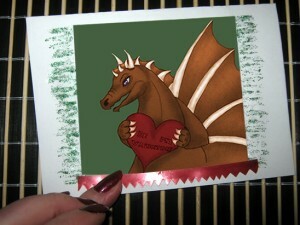 Glue that piece of ribbon on the left upper corner of the image and make a little heart on it with glitter glue (I used mauve to match the eyes of the dragon). See, the craft was fun, wasn’t it? 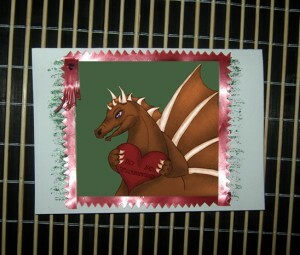 And, look at the great Valentine’s Day Card you have to give to your Someone Special!! 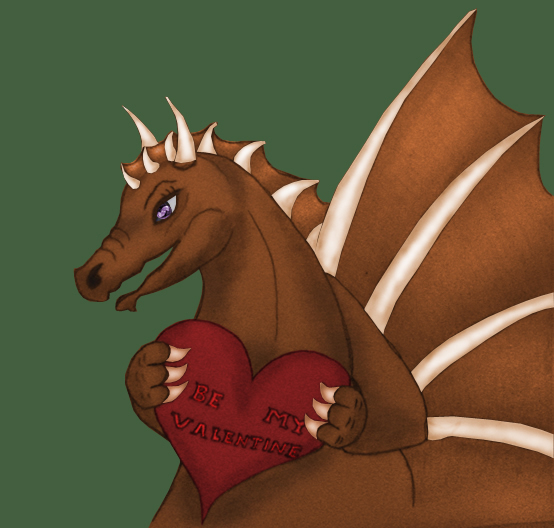 The real question is…. who are you going to give it to?